The primitive and postural reflexes are not understood enough, or addressed, by most professionals and the Education system and yet they are the key for every child to have the resources to be ‘ready and able’ to learn for life. If children do not get a good education because they do not have the resources to be able to learn and earn good grades, their future opportunities and choice of jobs are going to be limited. This really does not need to be happening, AND, I guarantee results. There are two types of reflexes, Primitive and Postural. The reflexes are an in-born movement pattern, that every baby is born with to develop the central nervous system, the sensory / motor system and make the neural connections to link up all areas of the brain. They start to emerge at certain developmental stages, they have a period of time to develop the senses and then should become integrated. Their role is to develop the neurological foundations a few weeks after conception, continue throughout pregnancy, help during the natural birthing process and continue to emerge and develop to help the baby move freely on the floor, to be able to roll over, learn how to rise up on to hands and knees ready to crawl and then stand and walk. They should all be integrated by around the age of 4 years old to help prepare the child before going into the formal learning environment. Scroll down this page to the boxes. Click on the box to find out the symptoms of each reflex. As the reflexes develop through the movements every baby should learn to make, each plays a major role in stimulating each of the senses and motor development. Many children and adults with learning and developmental challenges will have retained reflexes and until they are inhibited, will remain at a lower level of neural maturity and may struggle in education, in work, sport, music, relationships throughout life. Some people do finds ways to compensate for their difficulties and they have to work much harder to achieve results. This is one of the signs of retained reflexes. The Primitive reflexes are automatic, stereotypical reactions to specific stimuli either a reaction to sensory input or a change in position. They are designed to protect the baby and manage its ‘survival’. Some reflexes emerge and develop gradually in utero and play their role for the first few months after birth. The baby needs to complete the entire programme to lay down sufficient neural foundations for brain development, motor development and muscle tone ready for the next stage of postural stability. Gradually by six months the primitive reflexes should be inhibited to allow the postural reflexes to play their part. The primitive reflexes help to make the first neural links from the Brain stem, the Cerebellum through to the Prefrontal cortex, the ‘executive’ functioning area of the brain. This area, also known as the CEO, manages everything we do and think and gives the most appropriate responses. It controls impulsivity, attention, focus, comprehension skills and motivation. The Postural reflexes are life long. 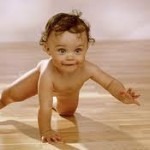 The infant must learn to master control of movement and balance to remain stable and upright against gravity. They help the baby to advance through rolling, having the muscle tone to hold its head up, being able to get up onto hands and knees ready for crawling, being able to sit up on its own then standing and walking and the development of coordinated gross motor movement and then fine motor skills. Retained reflexes will affect any or all of these milestones. What is important to know is that this programme can help improve any developmental issues and can be helped at any age, and for any ability. This is achieved using the same movements, with a little adaption, as a baby and infant should have made in the first 4 years. Why are the reflexes so important? The reflexes play a major role in who we are, who we become and what we will be able to do in life. The first 22 months are the most important time in a person’s life to maximise the growth of neural connections of our developing brain. If the foundations are weak, the higher levels of brain and sensory development will also be weak and cause a number of challenges. If each reflex has not been able to perform its role efficiently, for which there are many reasons that you will find at the bottom of this page, the visual, auditory, motor, tactile, vestibular and proprioceptor senses will not develop properly. These senses are vital to linking up all areas of the brain for everything we do and especially in learning. If any of the primitive reflexes remain active much past 4 years old, this can hinder higher stages of physical / motor / emotional development, perception, language, articulation, speech, phonetics and phonological issues, making sense of the world we live in and academic potential. Any un-integrated senses can affect the true performance in the individual and can be carried into adulthood and throughout life, affecting choices and opportunities. How do the reflexes develop? The brain and senses first develop through an inner movement pattern we are all born with. Having the right help from parents/carers and the environment and spending time on the floor is when we learn how to move and explore and as we learn to move in specific ways, this stimulates the neurological developmental process. If we don’t or cannot make these developmental movements we hinder this vital time and the reflexes will not get a chance to perform their role sufficiently. The result is the brain and central nervous system remain at a lower level of maturity. Once we are up on two feet, we don’t get the same amount of specific stimulation and developmental movements the brain and body needs and any Early Years reflexes can remain active, hindering the next stages. How do the Rhythmic Movements work ? 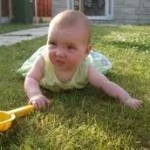 The rocking, rolling and sliding movements used in this programme mimic the movements every baby should learn to make. 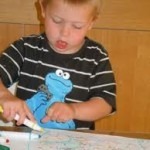 The movements give lots of stimulation to the Visual, Auditory, Motor, Tactile and Vestibular senses. Movement helps make the connections throughout the brain via the proprioceptors in muscles, the amount of body contact and the tactile sense while on the floor, the vestibular and motor senses with the rocking movements, helping develop muscle tone and the nerve networks from the Brain stem, the Basal ganglia, the Cerebellum, the Limbic system (the emotional brain), the Neocortex (The two hemispheres) through to the Prefrontal cortex, the ‘CEO’ of the whole brain. The movements need to be performed on the floor where neural development first begins. If the person cannot do the movements in an exact, rhythmical, smooth, symmetrical and effortless way, this can be a very clear indication reflexes are still active and by learning to make the movements exact with practice and time will start to stimulate and integrate the reflexes. Some of the movements are performed isometrically which has a stronger and deeper effect, helping to release old compensatory habits that we have learned to help us get through but requires lots more effort and hard work. All have a powerful and positive effect and can improve development with outstanding results, helping children and adults to reach expected milestones quickly. Crawling is really important for the myelination of the nerve fibres of the Corpus callosum that connect the two hemispheres. A well developed and myelinated Corpus callosum allows faster processing time for information to be shared between the two hemispheres which helps all learning; reading, writing, listening, thinking, good communication links between the two sides of the body and good coordination skills. Infants that are bottom-shufflers, the links can be weak but this area can be developed at any age with the right techniques I offer at my practice. Rhythmic Movement Training (RMT) is a natural movement based programme that helps improve the neurological foundations of sensory-motor development and the linking up of the brain, using gentle developmental movements every baby and infant should learn to make. The programme follows the natural stages of brain and sensory development through primitive and postural reflex integration. This programme gives a second opportunity to re-address a person’s Early Years and to help correct any stages of development the person may have missed, or not performed for long enough, to make the neural connections throughout the brain in a very simple, effective and natural way. When the reflexes are integrated we have better resources to call upon for learning and the tasks we need throughout in life. Reading, Writing and Learning in general becomes easier and enjoyable. Chronological age and attainments levels improve quickly, as will the end of year exam grades. It is especially beneficial to help improve specific learning and developmental challenges including Dyslexia, Dyspraxia, Co-ordination difficulties, ADHD / ADD, Autistic Spectrum Disorders and Cerebral palsy. This programme also supports people with mild to severe physical, emotional, social and behavioural challenges, various forms of mental health issues, brain injury and Parkinson’s disease. Why would I choose this programme? If your child is struggling in education, or in life, this programme will make profound improvements to their ability to learn. We revisit the Early Years, test for any retained reflexes and then use similar developmental movements that should have taken place during their Early Years. The movements are performed on the floor to give maximum stimulation to all of the senses, and areas of the brain, that a baby should have learned to have made. It follows the most natural developmental process we all need to go through, working with every sense in a very simple and effective way. I guarantee life changing results. Please click on the Reflex names below to recognise some of the signs and symptoms. The Moro Reflex, sometimes called the infant / adult startle reflex, is an automatic response to a sudden change in sensory stimuli. A sudden change of any kind (bright / flashing lights, change in body position, temperature, loud noise, touch, balance, smell, taste etc.) can trigger the Moro Reflex that activates the ‘Fight or Flight’ system. It is very much part of our ‘survival’ system. The Moro helps develop the five senses – the Visual, Auditory, Tactile, Vestibular and Motor senses. If the Moro is still active, any or all of these senses can be affected, causing oversensitivity. People that live in constant stress, the Moro is usually still active and this will make learning very difficult. This can be improved easily to help make life and learning more manageable and enjoyable. The TLR provides the baby with a means of learning about gravity and mastering neck and head control outside the womb. This reflex is vital for giving the baby the opportunity to practice balance, increase muscle tone and helps develop vision, the proprioceptive and vestibular senses. The TLR interacts with other reflexes to help the infant to start developing coordination, posture and correct head alignment. It is vital for the TLR to play its role well because correct alignment of the head with the rest of the body is necessary for balance, eye tracking, auditory processing, muscle tone and organized movements, all of which are essential to the development of our ability to focus and pay attention. 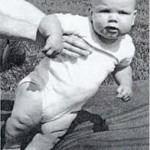 The ATNR is important for developing homolateral one-sided movements as a baby. When the infant turns his head to one side, the arm and leg of that side automatically extend. In utero the ATNR provides the necessary stimulation for developing muscle tone and the vestibular system. It assists with the natural birthing process, providing one of the means for the baby to “corkscrew” down the birth passage. Caesarean births miss this opportunity to stimulate the ATNR early on. By six months of age this reflex should evolve into more complex cross lateral movement patterns which helps to myelinate the Corpus callosum for the two hemispheres to receive and process information from the eyes, ears, hands/fingers and legs/feet. Without being able to cross the midline efficiently, processing of information will prove very challenging. The ATNR also provides training in hand- eye coordination. The Spinal Galant, the Spinal Perez and the Vollmer Reflexes works in conjunction with the Moro and Asymmetrical Tonic Neck Reflex to help the baby’s journey down the birth canal. These reflexes help the baby balance and coordinate their body for commando crawling and creeping. It helps build muscle tone along the extensor muscles of the back. It is thought to be connected to bladder / bowel function as the lumber muscles relate to the large intestine. A high percentage of children who are bedwetting past 5 will have an active Spinal reflexes. Sitting back in a chair or having tight fitting clothes can cause irritation and therefore distraction and loss of concentration. Children and teenagers will tend to not want to have anything that causes pressure on their lumbar area on the back, and so you see trousers that you want to pull up. Could be a fashion thing as well! In the womb, the Spinal galant helps auditory development through bone conduction which is why it is important to check for being still active in children with Auditory Processing Disorders. The FPR is the ‘withdrawal’ / ‘freeze’ reflex that emerges during the embryonic stage and is at cell level. It is a total body withdrawal away from stimulus that is abnormal in utero. 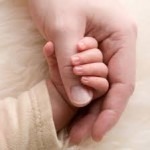 Stress / shock / trauma to mother during the first three months after conception can affect the integration of this reflex. The fetus reacts to stress/ shock by withdrawing inward and freezing. As the fetus’s tactile awareness develops, withdrawal upon contact should gradually lessen. It is thought that this reflex is the first step in learning to cope with stress. Like the Moro reflex, it is very much part of our ‘survival’ system. If the FPR is the dominant reflex over the Moro in stressful situations then we become ‘frozen’ to the spot, overwhelmed, our system ‘shuts down’ and we cannot move. The Moro, on the other hand, gives us the choice to be able to move and get away from the stressful issue or stand our ground and fight. The FPR merges into the Moro reflex around 8 – 12 weeks and should become inactive before birth. If the FPR is not fully integrated at birth, it may contribute to life-long challenges related to deep fear, anxiety and not feeling ‘safe and belonging’ in the world. People with an active FPR may often be overly anxious and tend to veer towards negativity which can prevent them from easily moving forward to living a meaningful and interactive life. An active FPR often goes hand-in-hand with an un-integrated Moro reflex. Children and adults diagnosed with autism, this reflex is usually still active and affects how they ‘fit’ into the world. The Infant plantar reflex develops and integrates earlier than the Babinski, usually around 12 months. It helps a baby with crawling on its tummy. It is part of the ‘clinging’ action that primates need to hold on to mother when being carried. This reflex can also have an effect on speech and articulation if still retained. The Babinski reflex develops gradually and integrates up to two years old. This reflex prepares the feet for walking and provides important stability. It helps to mature coordination between the legs, hips and lumbar spine and improves muscle tone for the lower parts of the body. As the Babinski develops it helps with connecting the higher levels of the brain more efficiently. The Babkin reflex helps the baby to learn to grasp objects and put them in its mouth which is important for developing fine motor control of the hand, fingers and mouth. The mouth is our first learning of sensory input, what things taste like, feel like etc. Being able to pick things up, hold them comfortably and manipulate tools. If the reflex is still active, when you press into the palm the mouth will open and the head turns to the same side and the person can feel movement in the jaw, mouth and/or neck. Because the hands and mouth are linked, it can affect how well we speak, articulate and express ourselves. Understanding these hand reflexes will be extremely useful to Speech and Language therapists. The Babkin is also to do with Bonding and Attachment issues. Children that have difficulty bonding with their mother, or someone special, are likely to have this reflex retained. Integrating it can be extremely helpful in relationships and communication. There are two other hand reflexes. The Hand grasp reflex and the Hands pulling reflex. The STNR is not a primitive reflex, but a transitional one. It is an important developmental stage that transitions the baby from lying on the floor up to being able to get up and crawl. At this stage in development, movement of the head is automatically linked to movement of the arms and legs. If the STNR remains active, it is another main cause of inability to function in school. This is because up and down head movements remain linked to arm and leg movements, making school work challenging and difficult. There are two Headrighting reflexes. The Labyrinthine headrighting reflex affects the vestibular system. The Ocular headrighting reflex affects the eyes. They are both important for maintaining good head position no matter the position of the body. This is important for reading, writing and balance. The role of the Cerebellum is to help make all movements smooth, rhythmical, controlled and co-ordinated. Children and adults who have difficulty doing movements with a rhythmical element clearly shows the Cerebellum is not developed sufficiently. As the movements become rhythmical, exact, smooth, controlled and effortless this stimulates the neural connections through to the speech centres, helping to overcome challenges with late or no speech quickly. As the Cerebellum develops the first neural connections are made to link up the Frontal lobes. As the frontal lobes become more efficiently connected attention, concentration, control of impulses, abstract thinking, judgement and learning improve. The Cerebellum is also important for working memory, processing information and control of eye movements to help with reading. It has been found that people with autism, the Cerebellum has been found to be smaller than normal in size. Using Rhythmic Movements can help develop the Cerebellum very effectively and quickly. The Basal ganglia is the level at which the primitive reflexes should become inhibited and the postural reflexes develop to help us to get up off the floor for walking. It is also where movements should become automatic i.e chewing, walking, writing, running etc. We need to be able to move without having to be consciously aware all the time as this can be tiring to the mind and body. When the basal ganglia is developed sufficiently it manages our ability to be able sit still for long periods. Children / adults with ADHD, this area of the brain is not developed sufficiently. To expect them to sit still for any length of time will cause them a great deal of stress, they won’t be able to concentrate and the ability to learn will be lost. In Parkinson’s disease, the Basal ganglia diminishes hence problems with motor ability, posture, muscle tone and gait. Using Rhythmic Movements can help to slow down deterioration and help to reduce the difficult symptoms people have to try and manage. Relays sensory information from the visual, auditory, tactile, vestibular, muscles, joints and inner organs up to the Neocortex. If developed sufficiently, it should act as a ‘filter system’ to sensory input and ‘dampen down’ over sensitivity so not to cause too much stress to a sensitive person. This system, when stimulated, helps to keep the Neocortex alert. People who day dream a lot and who have poor attention or ADD, this system will not be functioning efficiently. It also regulates our sleep / wakefulness pattern so people with poor sleep patterns would benefit from using rhythmic movements. Using Rhythmic Movements helps develop the RAS. This area of the brain develops between 15 months and 4 years. It is where emotions, the hormonal and immune system are managed. It is also where the ‘Fight or Flight’ system is initiated. As this area develops, we learn about ‘who we are’ and where we learn to test out our emotions through the ‘terrible two’s’ stage. This is an important stage of development for learning to be assertive, being able to be self expressive and learn to interact with others. Encouraging children to play is vital to motor development, feeling emotionally safe and secure to venture out into the world and developing our social skills to learn how to interact with others. If we don’t learn to play, emotional development can be affected. As the Limbic system develops, the neural connections are made to the prefrontal cortex. This is vital if emotions are going to be managed properly and the person is to remain in-control of stressful situations. It is the prefrontal cortex that gives the most appropriate response to everything we do, providing it is linked up sufficiently. The right hemisphere develops between 4 and 7 years old. It is when our creativity and imagination stage needs lots of development. This area likes colours, shapes, facial recognition and seeing the ‘whole picture’ and end result. The left hemisphere develops around 8 onward and is our language, analytical, science orientated brain. This hemisphere sees the ‘details’ of the picture and plans the steps to get to the end results. The two hemispheres are connected by the Corpus callosum, a bunch of 200 million nerve fibres that allow the sensory information for processing to pass over to each side at high speed, IF myelinated sufficiently. Rhythmic Movement Training can help develop the two hemispheres and the corpus callosum to be able to crossover the midline. The frontal lobes receives its first level of neural development in the first year of life, with the right stimulation. The main time for neural development takes place between 9 and up to 25 years old. This area of the brain, behind the forehead, needs to receive all information from the senses so it can make decisions on how to give the most appropriate response to situations. It is our decision-making, problem solving, judgement, impulsivity, reasoning and rationalisation area of the brain. ADHD / ADD, reading problems, eye movements, poor decision-making and comprehension challenges can be the result of poor neural connections to the Prefrontal cortex. Rhythmic Movement Training can help develop the Prefrontal cortex. Some people do finds ways of compensating for their difficulties which means they have to put a lot more effort and time into what they want to achieve. They may reach a point during GCSE’s / A Levels / University or in the workplace when pressure and stress becomes too much that their compensatory strategies are no longer strong enough to support them and let them down. RMT can help release learned compensations and bring about a more natural, efficient and easier way of learning. Can the Rhythmic Movements help ADHD, behaviour and attention problems? Absolutely. There are a number of the reflexes that relate to behaviour, hyperactivity and attention challenges. Improving muscle tone for better upright posture and breathing can greatly improve the symptoms of ADHD. Children and adults with attention problems, the Prefrontal cortex may not be sufficiently developed and linked up. Using the Rhythmic Movement programme to integrate these two essential areas of the brain can help children and adults without the need for medication. Click to highlight the ones you recognise in yourself / your child / the classroom. If 3 or more come up, there will be retained reflexes. Any of these can be improved easily.